Today I wanted to bring you a fun nail pictorial. 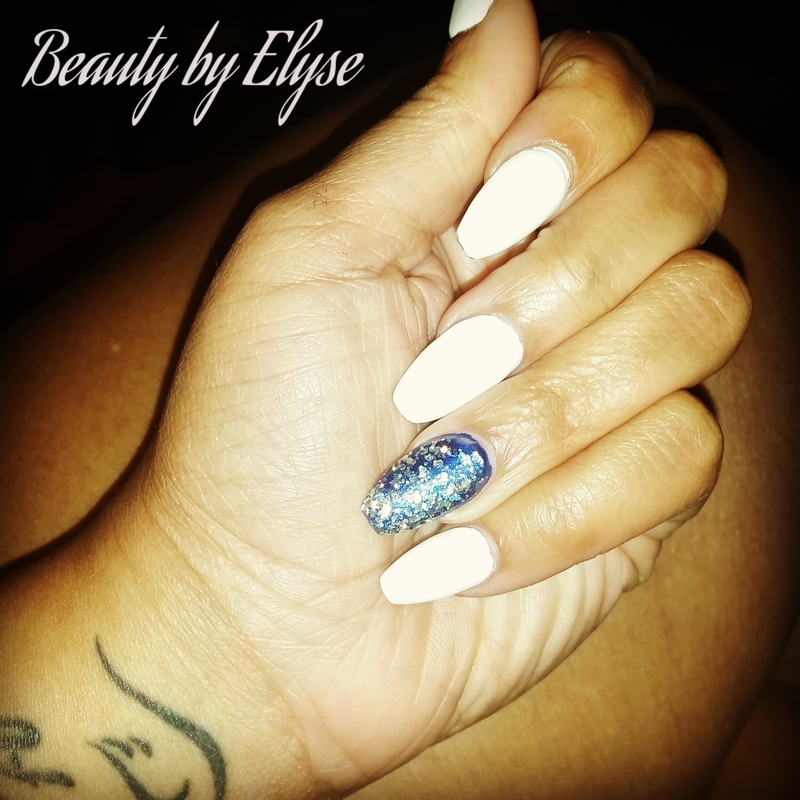 Two weeks ago I got my nails painted all white (here is the link for all my Nails) for the new job I was starting (trying to keep it classy). A few days later I decided to paint and messed up two of my nails, instead of painting over it I decided to just create a marble looking design with a few colors. A lot of people asked me how to do it so here it goes. 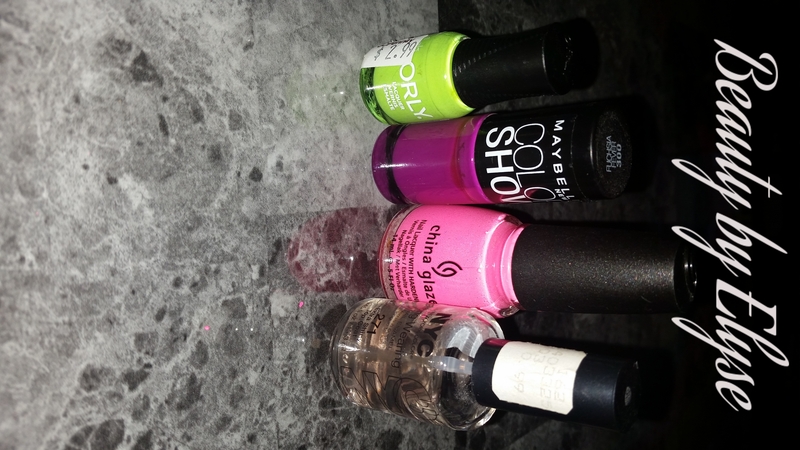 First you’ll need to pick out which polish you want to use, pick any color you and it doesn’t matter how many colors either, remember this is your creation. You’ll also need clear nail polish for the last step. Next you’ll need, nail polish remover, a sponge, and q-tips. 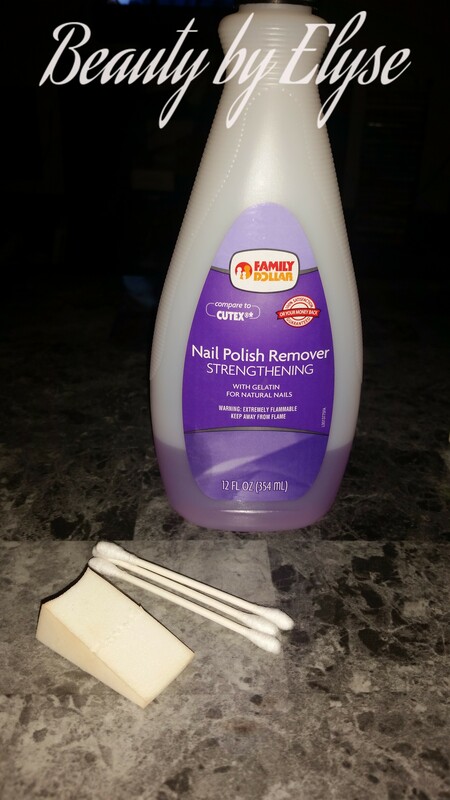 The sponge will be used to apply the polish, the q-tips will be used to wipe off any excess polish that gets along your cuticles. 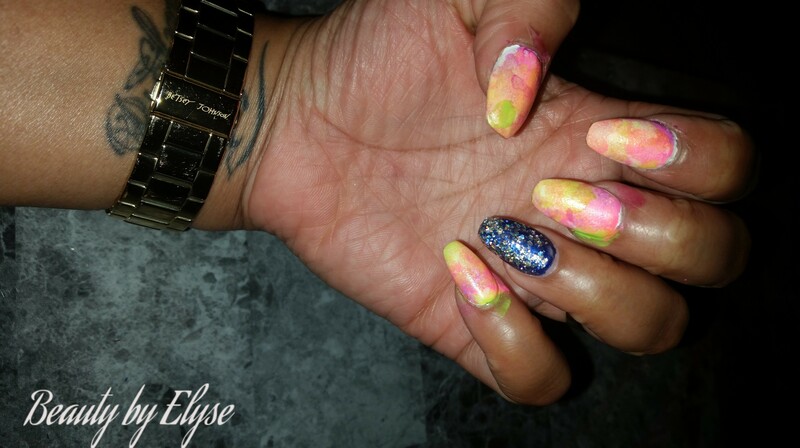 Once you have your colors, dab each color on the sponge, the sponge will soak it up so make sure you put enough on there so it will adhere to your nail. You’re then going to take the sponge and place it on top of your nail. Now you can either press down or dab it on there so the colors get all over the nail. You will repeat this process for each finger nail. 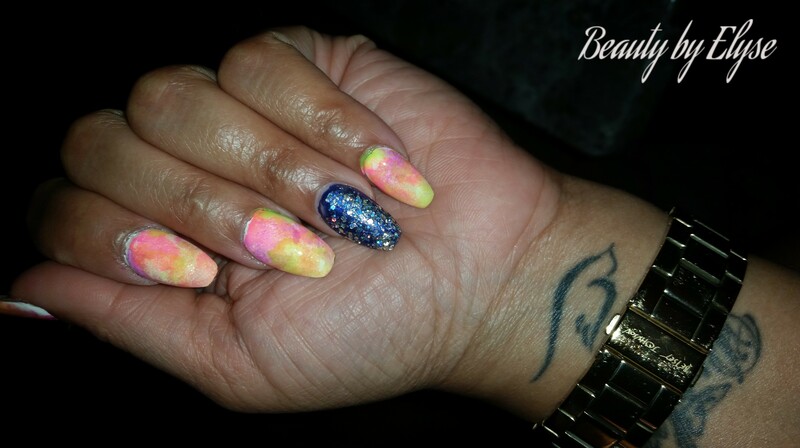 Once all your nails are done you’ll probably need to clean up around your finger tips and nail beds, the q-tips work great for this because they will get close enough to the nail without messing up the polish. Once you’re done cleaning it up, add some clear nail polish to make it shine!! And just like that you’ve created your own look, it’s really just that simple. Also if your into painting or a just a fan of art check out my other blog page King Designs ! Be the change and make the difference! Hello do u make house calls, lol, no really I need that in my life call or text me .